To import PDF into Word, there are several tools that will help speed up the process. Both PDF and Word are important for professional use and therefore professional software is required to make sure these file types appear at their best. Wondering how to import PDF into Word? This is a question that is asked frequently. To import PDF to Word 2003, 2006, 2010, 2013 and 2016, PDFelement can help. PDFelement is the perfect PDF editor to import PDF to Word. The output results are almost always exactly what you want. This program is easy to use and reliable. The features associated with the program give it an edge above other competitors. The PDFs can be opened, edited, saved and marked up using this state-of-the-art program. The original formatting and imagery within the file is kept intact. Converted PDFs can be password protected to ensure that the integrity of the document is preserved. It can convert PDF to several different file types including word, images, HTML and text. Has the ability to create entirely new PDFs as well as edit existing ones. The user can add digital signatures. The OCR functionality allows users to edit scanned and image-based PDF files. Install and launch PDFelement. 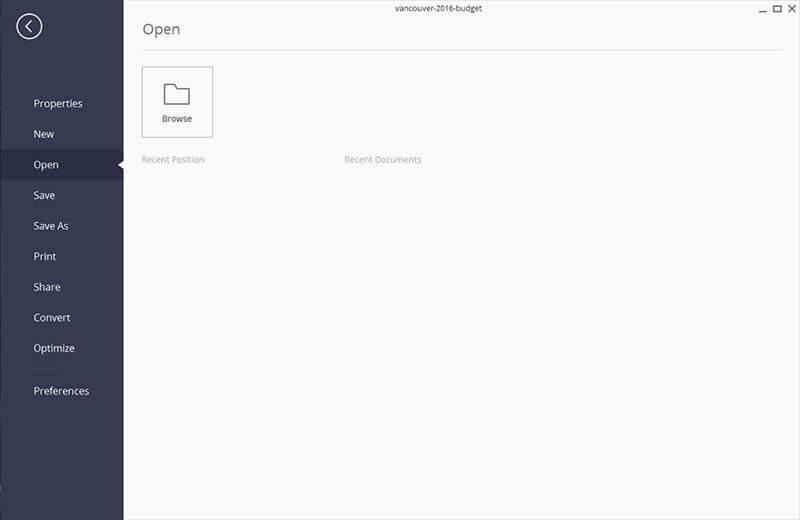 Open your PDF file by going to the "File" > "Open" menu or dragging and dropping it into the program. Once the PDF is open, go to the "Home" tab and select "To Word". The conversion window will open and you can make changes to the settings if required. If it's a scanned PDF, you can click the "OCR" button on the "Edit" tab. 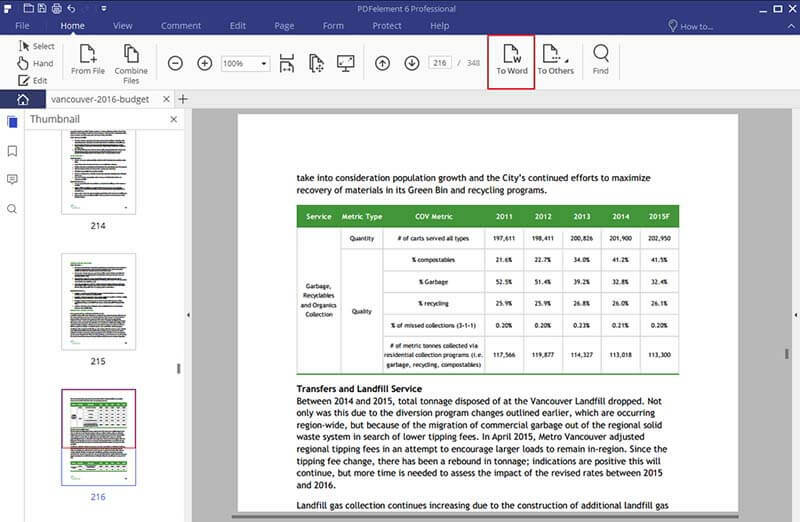 This will let turn your PDF into an editable document with editable text that can then be converted into a Word document.